All Jensen homes currently listed for sale in Jensen as of 04/20/2019 are shown below. You can change the search criteria at any time by pressing the 'Change Search' button below. "This once in a lifetime opportunity is too amazing to pass up! Have you ever wanted to own a successful Bed and Breakfast ? This Inn faces Split mountain and has visitors from all over the world! Maybe you are looking for Gentleman's Ranch? Or how about building homes on the property adjacent and taking that profit and paying off your main home ( the Inn) and the agricultural land and living there mortgage free!? The possibilities are abundant. The serene setting, the quality workmanship and thoughtful details and amenities are just hard to beat. Let this be YOUR dream come true. Call for an appointment to view this stunning property. *2 x 6 Construction * Flagstone extracted from Chew quarry *Firepit Area *Butcher Block Island *2 shops with 220 v power. * 2 Septic Tanks ( main tank is commercial size) * 2 Water Heaters. ( on Demand) *3 separate laundry areas. 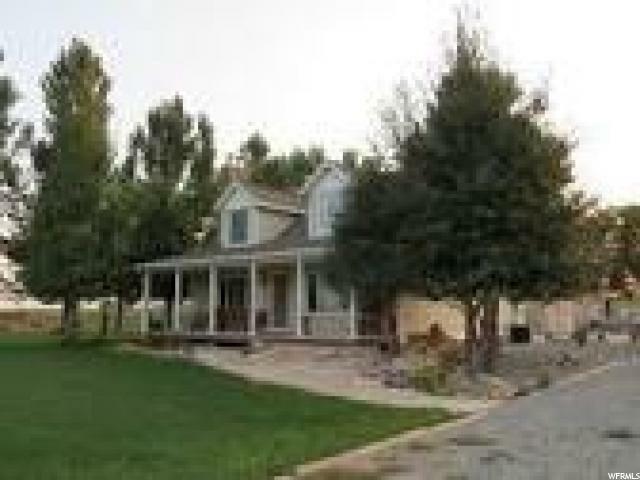 *wheelchair accessible *Separate water shares for the back 8 acres *17.5 J Stock and Red Fleet Shares Square footage figures are provided as a courtesy estimate only and were obtained from Uintah County . Buyer is advised to obtain an independent measurement."